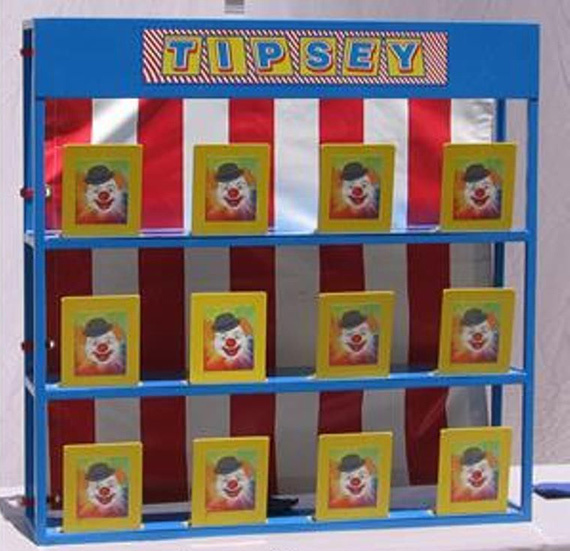 The Tipsy Carnival Game measures 40" High by 40 inches Wide and 8 inches Deep and weighs 75 lbs. The game is made of steel and then powder coated for a lasting beautiful finish. The game comes with 6 beanbags.